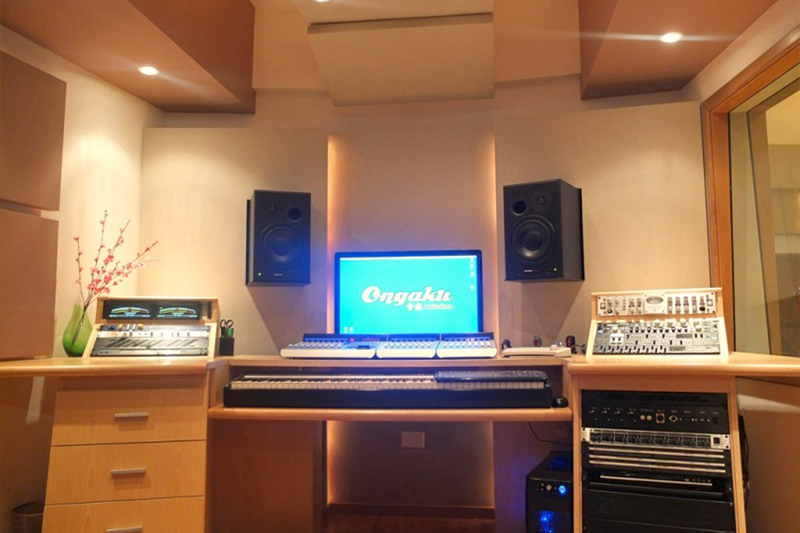 In Japanese, Ongaku means “Music.” In March of 2012, Jorge Morales, a producer/ sound engineer with extensive credentials in music, commercial and film scoring, joined forces with musician/recording artist Juan Sayago to build a cutting-edge recording studio. A 1400 sq. 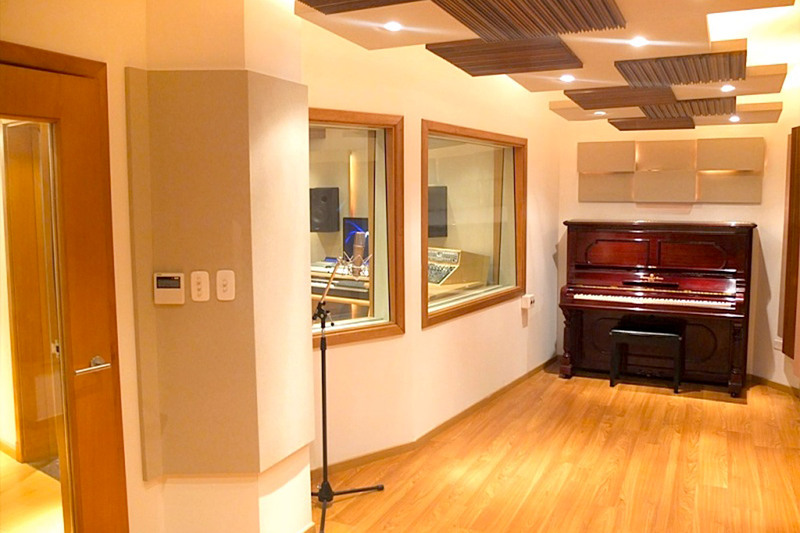 ft. space in B.A.’s trendy Palermo section, an area bustling with audio/video production facilities, provided Ongaku with the resources to accommodate a wide spectrum of music recording, film and commercial production assignments. To assure clients of the highest-level of acoustic and aesthetic support, the partners reached out to WSDG for facility design. 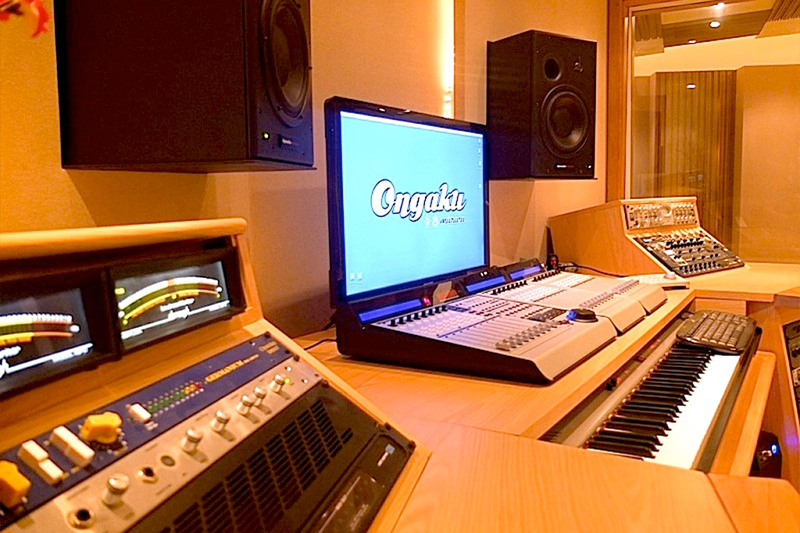 Ongaku is highlighted by a 400 sq. 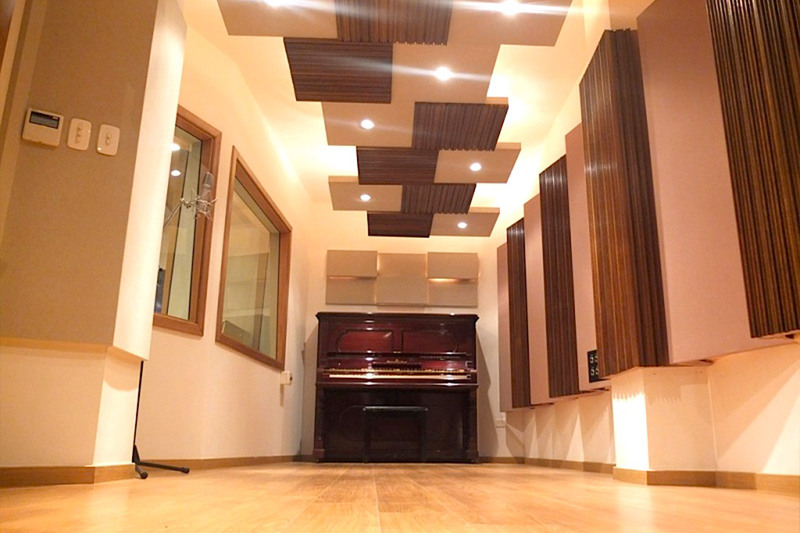 ft. live room, outfitted with variable acoustic panels, a 240 sq. 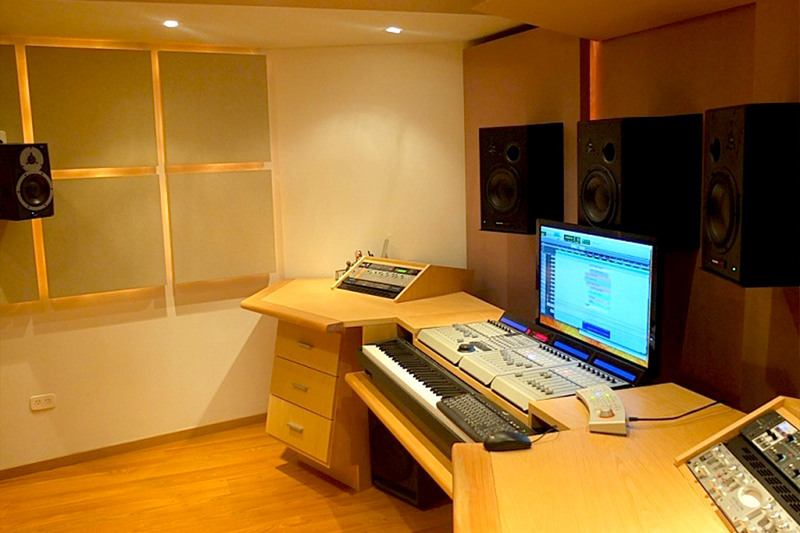 ft. control room (A) was created for music recording/ mixing projects. The 280 sq. 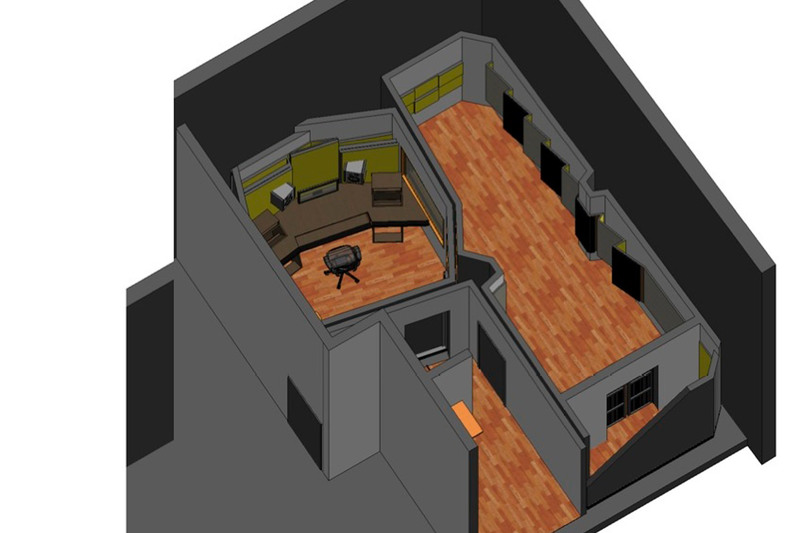 ft. control room (B) with a 100 sq. 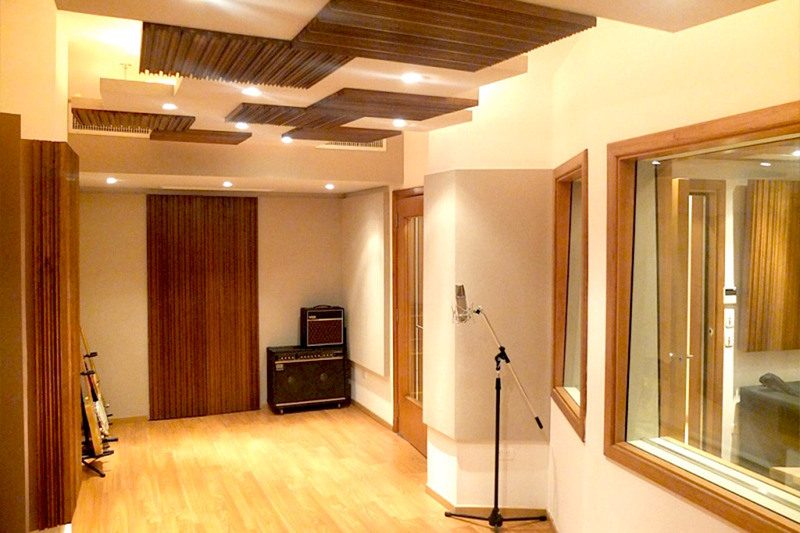 ft. Iso booth, is dedicated to, mixing, overdubs and voice recording. 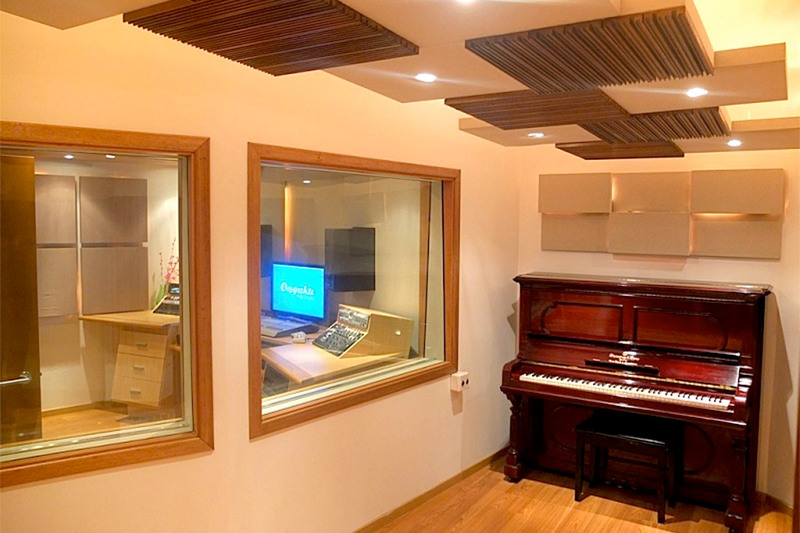 Featuring a comprehensive arsenal of analog and digital technology, and a wide range of outboard equipment, this 5.1 surround recording/ mixing/mastering and post-production complex is attractive, flexible and sonically impeccable. 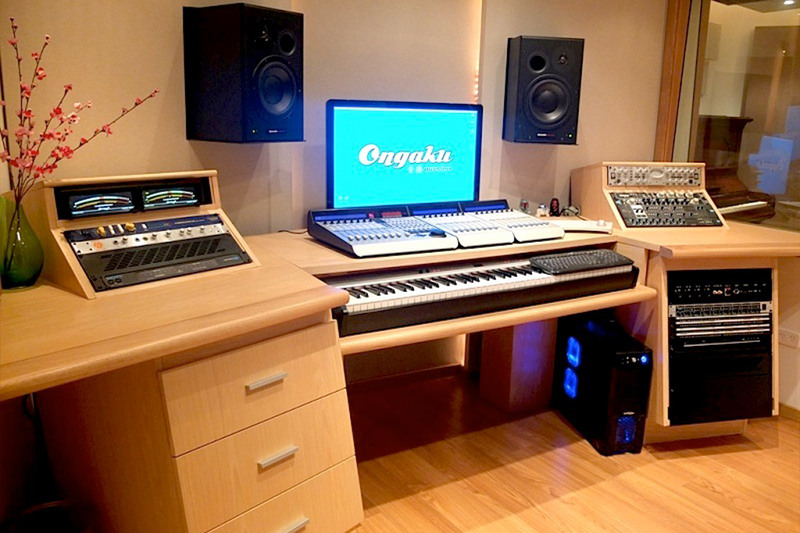 Acoustic integrity was a primary Ongaku concern. 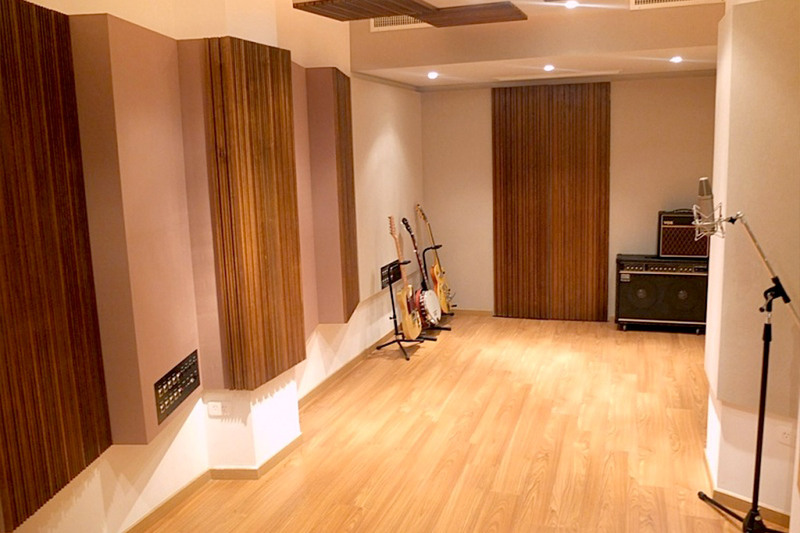 Both the A and B control rooms were constructed to stringent, room-within-room standards. A shared patchbay provides each with access to a wealth of processors while insuring zero sound leakage between live and/or control rooms. 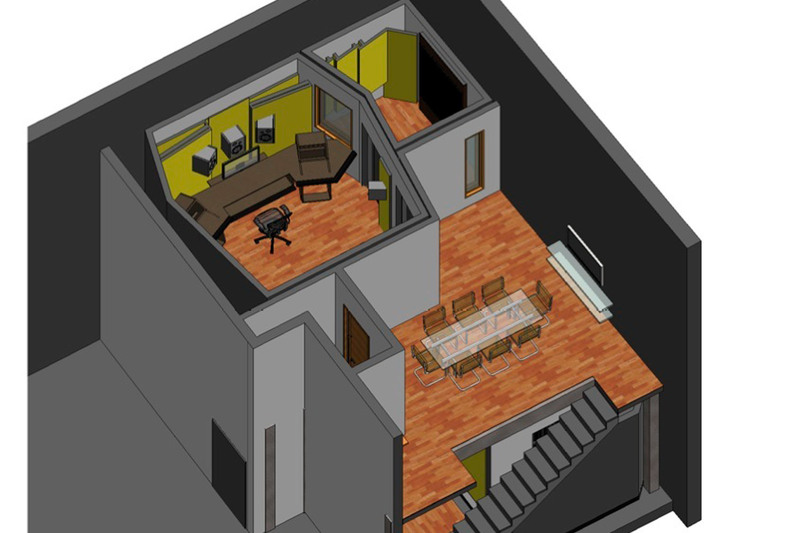 WSDG developed a clean, handsome, efficient floor plan, which maximized the available space, insured a smooth workflow and provided the flexibility to work on concurrent projects without encroaching on each other sonically. 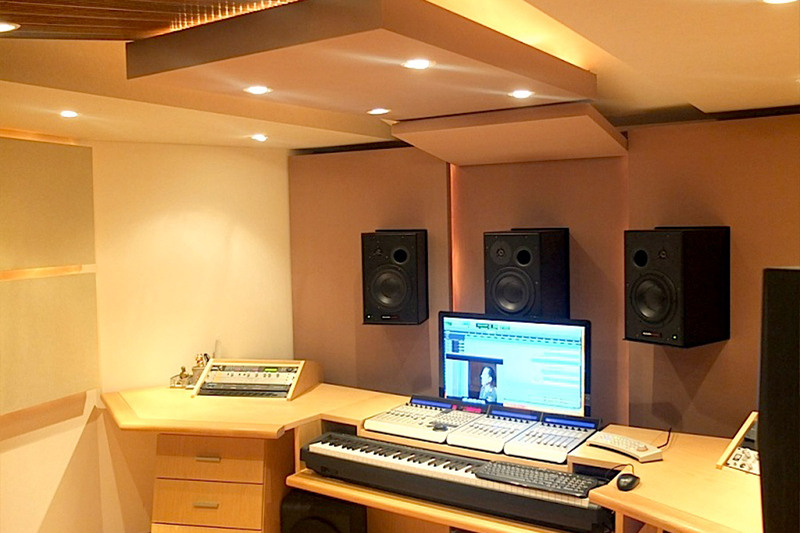 To meet client requests to avoid intrusive speaker stands WSDG engaged innovative ‘stealth flying speaker mount shelves for the Left, Center and Right front speakers in both control rooms.